‘’What impresses most about Broderick's is that they continually innovate - not just at renewal time - throughout the duration of the contract. 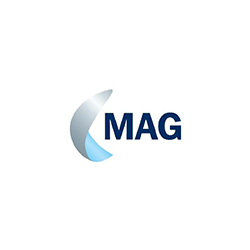 The innovation demonstrated is unrivalled; service standards are of the highest calibre throughout MAG Group. What started in Manchester is now mirrored at Stansted, East Midlands and Bournemouth Airports." In 2005, Manchester Airport’s vending operation was looked after by internal retailers. With no real idea about vending, the system was used purely as a distress purchase, with no payment system beyond the £1 coin. Branded machines belonging to Cadbury's and Coke were simply out of date and an eye sore legacy from the Commonwealth games branding in 2002. They turned over £600, 000 per annum. Broderick’s has been on a sharp trajectory with Manchester Airport since the 1980s, when the business first started providing vending machine and hot beverage solutions to airport departments including airlines such as Emirates, Etihad, Monarch and Ryan Air, as well as serving security staff, handling agents, the cargo centre, and police - to name but a few. Today, Broderick’s holds the main retail contract for Manchester Airport’s public areas and has unveiled a series of firsts in vending machine technology at the airport since it won the retail business eleven years ago. Sales revenue grew by significantly for the aiport within the first six months of Broderick’s installing 105 vending machines. Having recently secured the contract for the entire airport group, as well as Manchester Airport, Broderick’s vending machines are available to millions of passengers at Stansted, East Midlands and Bournemouth airports. 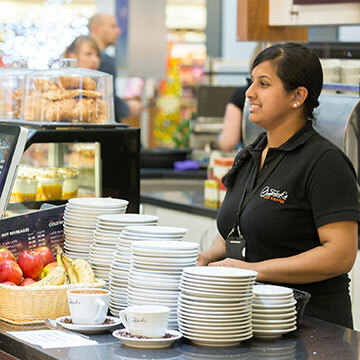 Since its earliest days of offering vending machine solutions to Manchester Airport, Broderick’s has showcased the leading edge in vending technology: from coffee shop style machines that were revolutionary in their generation, to today’s smart, interactive vending machines with Media Vend technology and the latest payment options, including tap and go, credit card, PayPal. Creating a blueprint for airport vending success, Broderick’s introduced options that heightened consumer desire: from a great new range of branded grab and go options, to weekly promotions and special offers that stimulated sales, even through to launching more cafe style beverages, served in quality, branded paper cups. It was a major breakthrough that Broderick’s drove a desire for refreshments from a vending machine, in a way that truly competed with the airport’s established coffee shops. The growth of the Broderick’s business across the airports comes down to in-depth, on the ground experience: the airport team is confident in Broderick’s time-proven knowledge of airport life and protocol. From understanding security and having CRB checks in place for its entire workforce who have also been passed to drive and work in restricted areas - including 14 engineers who have been airport passed - to its £50 million public liability insurance, Broderick’s has all elements of working at airports covered. The Terminal 2 Broderick’s cafe bar marks the real start of the holiday for many a Manchester traveller. Since it opened in 2008, the coffee bar has become known as an oasis of calm, and great coffee, once the bags have been checked in! Its delicious menu ranges from pastries to fuel an early morning start and Better For You options for the health conscious traveller, to child friendly options for family travellers. All served up with Broderick’s trademark friendly and attentive customer service. We’re thrilled that in April 2016, Broderick’s won the Manchester Airport exit poll, with a 96% result! We are a national vending supply and operation business with all the control & dedication that comes with being family owned and independent.